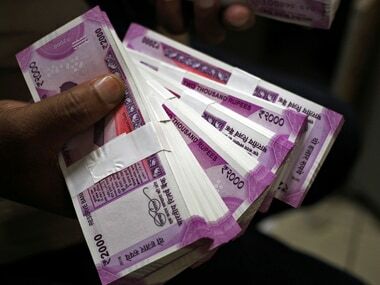 New Delhi: Government has saved Rs 58,000 crore through the Direct Benefit Transfer (DBT) scheme used in various subsidy programmes, Union Minister Ravi Shankar Prasad said on Thursday. The electronics and IT minister said the government is utilising digital technology to bring about changes that benefit poor and underprivileged. subsidy and food subsidy directly to the bank account. We have saved Rs 58,000 crore which used to be pocketed by middlemen," Prasad said at the AIMA convention here. This Rs 58,000 crore money is not private money it is tax payer's money which required to be saved and digital governance is doing that, he added. Elaborating on the success of the DBT initiative, Prasad said that the government has so far been able to unearth 3 crore fake gas connections and has also annulled 2.7 crore fake ration cards. 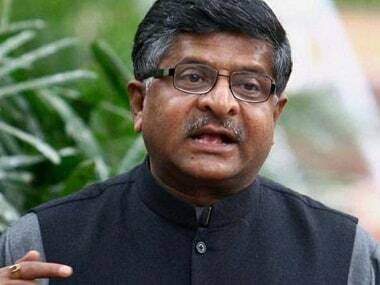 IT Minister Ravi Shankar Prasad. PTI. "The idea we set for ourselves when we went for digital revolution is, that we want to create technology which is inclusive and at the same time affordable and dependable," he added. Linking up various schemes and services like hospitals digitally have benefited the poor and underprivileged, Prasad said. 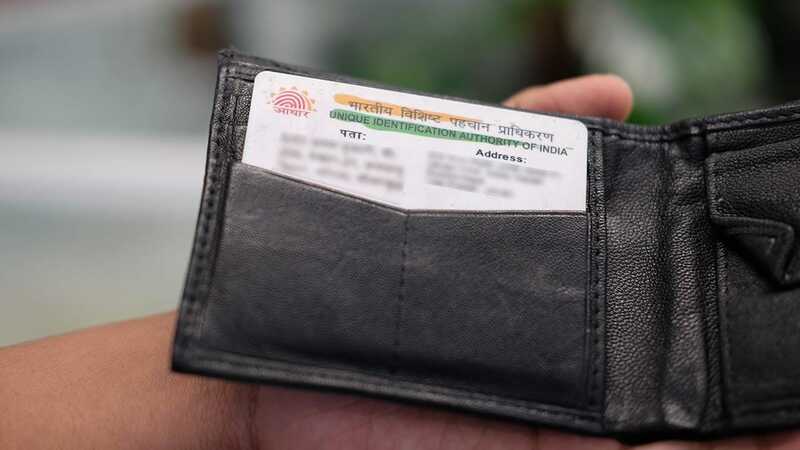 The minister also confirmed that discussions were held recently to link driving license with Aadhaar card in order contain issue of dual licenses. "We are going to link up your motor vehicle driving license with Aadhaar," Prasad noted. Bullish on growth of digital economy in the country, the minister said the segment would be a 1 trillion dollar industry over the next 5-7 years. "Indian digital economy is going to become 1 trillion dollar economy in coming 5-7 years. 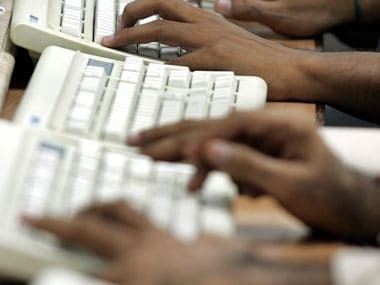 When I say digital economy it includes IT and IT enabled services, communications, electronics manufacturing, cyber security, digital payments and e-commerce," Prasad said. The segment would also help generate additional employment to around 50-70 lakh people over the next 5-7 years, he added. Elaborating on mobile companies setting manufacturing plants in the country, Prasad said that over the last three years around 100 new companies have set production facilities. "Noida and Greater Noida have become a hit with around 32 plants coming up in the region. The units are for mobiles, batteries, chargers etc," he added. He added that with the growth of mobile segment, app consumption itself is going to become a multi-billion industry in India. Referring to critics Prasad said: "Jo alochna karte hain woh alochana karte rahen, hum apna kaam karte rahen. (Let those who criticise, criticise, we will keep doing our work.)"